Terri, believe it or not I found it stash diving in my own stash . My favorite colors are purple and aqua sometimes with a touch of chartreuse added in. Glad the leakage has been taken care of, sheesh...how scary! How much longer until you leave on the trip for Mexico? Glad that the gas situations turned out okay. Kass, wow, you have had your hands full. Happy that things are looking up somewhat. Take care of yourself. You don't need to end up sick also. Cheesehead, I love your fabric! Can't wait to work with it. Janice, I mailed my package today and sent you an email with the tracking number. Cheesehead would love to go stash busting at your house or should I say houses. We leave for Mexico on the 31, perfect timing for the boom. Sadly this might be our last trip down there. We love it as much as always and have never experienced a situation where we didn’t feel safe but unless the drug business settles down we would rather be safe then sorry. Well our friend put himself in an unsafe situation. Bad things can happen anywhere and even if you are being very safe, but it is doubtful this would have happened had he been a little more cautious. He did say today that the authorities were extremely helpful and professional. Kass We don’t leave the resort when we vacation, luckily we have seen most of the tourist attractions already. Will keep our options open and if it feels safe I will be the first to head back there. I love the people, climate and the ocean. Terri, I love the Playa area...I think that's the general area you are heading to. Love the food, cocktails and the hospitality they offer at the all inclusives. I too wouldn't mind just staying within my resort area and enjojing all of the ammenities. 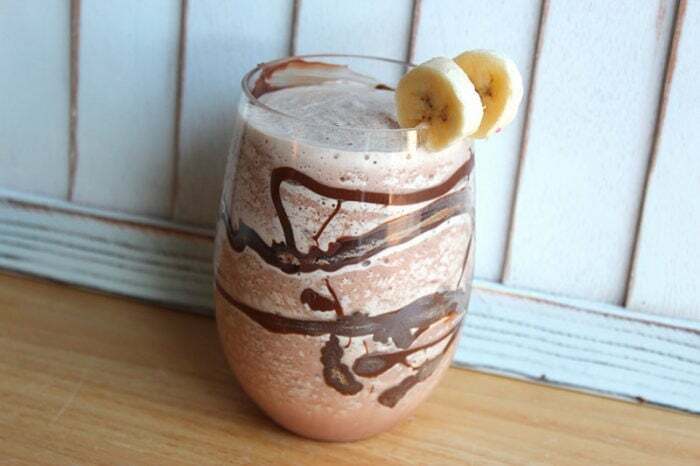 Mmm, now I am thirsty for a Chunky Monkey, I only wish I knew how to make one! I'm thinking I bought the fabric for both swaps at either Joann's or Hobby Lobby a year or two ago. Finally got a picture after recharging my camera battery. Still haven't figured out the smart phone. Apparently too smart for me! People may not remember what you looked like or what you said but they will always remember how you made them feel! This is the link to my albums for all Boom swaps. Quick fyi, 14 packages are on the way from both groups. What a fast start! Vikkim, once you get your package, first count to make sure you’ve got your 19. Then just marvel at the colors, read the notes, and let them speak to you. You’ll find some F8s you’ll just have an idea about what they need or want. Those are the ones I start with. As you get a little experience, go for those you find more challenging. Remember to also listen to your skills. Make what you are comfortable making. The idea is to have fun. Oh, a challenge is good too but don’t stress! Cheesehead yes we like to stay in the Playa area. Have never heard of a chunky monkey, what’s in it. I am a Mango Tango and Margarita kind of girl. Have stayed at Catalonia, Princess, Princess Platinum and Blue Esmeralda ( where we will be going again this year). Thanks Joanelizbay. I think of myself as a little hippyish sometimes. Ah, the good old days!! LOL I remember buying that one with a cat fabric in the same colors. There are little paw prints in the paisleys. Or whatever they're called. Terri, this is a chunky monkey! It has Kahlua, and a few other liqueurs a half of a banana and the usual cream of coconut all blended together with ice. Love everyone's fabric and can't wait to start! I, too, confess to a little freshman anxiety but I'm sure after a few blocks I'll be in the swing of things! While in California I found a block book at the Friends of the Library for a $1 with tons of ideas in addition to all the wonderful links SBG posted. Have all my fabric pressed, cut, bagged and labeled - going to the post office this afternoon! Cheese that looks like a great evening cocktail, will see if they make them. We went on a cruise many years ago wth 2 other couples that were newbies to cruising. As the ship left port they were serving pina coladas left and right. Between the drinks and the rough ocean they were all so sick. Every time I think of coconut milk I can see their green faces. Are these all inclusive resorts? My husband is looking for us a nice place to stay down south that is all inclusive. We have been on several cruises that have taken us to some really nice places. I received F8s from Libster, Jaba, and Marcialee. Thank you! Cheesehead, the fabric and the drink both look delicious. Cheers to the boomers! Kass, I'm sorry about what happened to your friend. I suppose it was the drugs made his post sound a bit warped? I would not trust an Airbnb in Mexico. Too many articles on things gone very bad in a rental there. Glad your friend is back home safe and sound, and I guess he has more wisdom now. terriamn, I would have been so scared I'd be crying. Seriously, anything that has to do with gas leaks, electricity, fire, possible explosion---it completely undoes me to the point to tears. God was watching over you indeed! Lstew yes we only stay at all inclusive. There are so many things to take into consideration. We don’t care for highrises but have found out even huge resorts that have lots of small clusters of Two story buildings are great because they are their own little community. We also prefer to have swim up rooms. They have a swimming pool right outside your patio door. Do you enjoy kids or do you prefer a resort without. Do you like a place with a night life, do you like to be close to town, gourmet food? Lots of option. 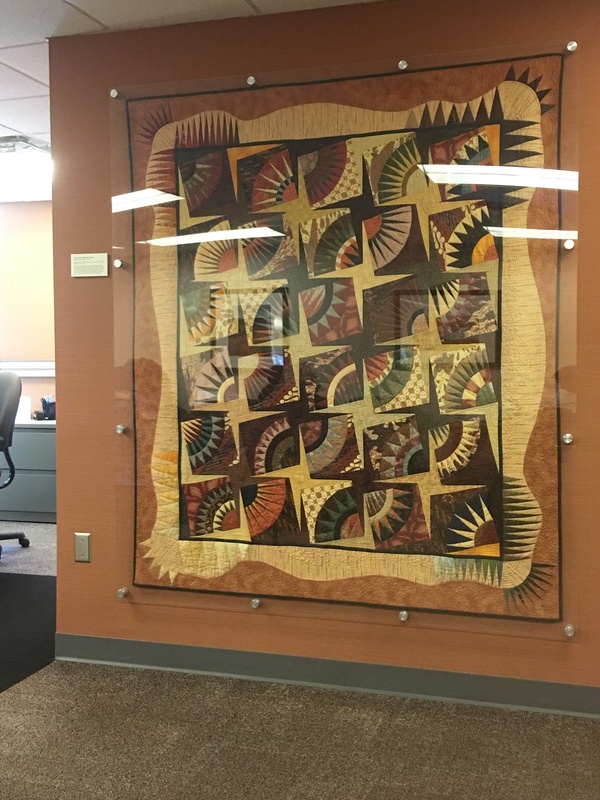 Beautiful quilt at doc’s office. Speaking of hippies, did the "hippy quilt" from a few booms ago ever get posted? I really was looking forward to seeing that. Quick FYI. I believe the bad weather in various parts of the country is wreaking havoc with package delivery. Only half of those due in today have made it to my town and those are out for delivery. I know the others will show up sooner or later. (Yes, I said it!) Anyway, I’ll post as they roll in. Mine fabrics were just dropped off at the post office and I have sent you tracking.